Last December we wrote about on the new Secret Stash series devoted to Chicago’s One-derful! label group, which includes Mar-V-Lus (reviewed in February), M-Pac!, Halo, Midas, and Toddlin’ Town. This series marks the first in-depth study of one of Chicago’s most prominent African-American run labels, operated by George and Ernie Leaner from 1962- 1971. Finally, after a long delay, the highly anticipated fourth installment of the One-derful! 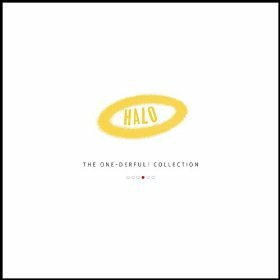 Collection has been released, which focuses on the gospel imprint Halo. Featuring The Gospel Ambassadors, Salem Travelers, the Gospel Souls, Lucy Rodgers, The Flying Clouds of Joy, and the Redemption Harmonizers, among others, this set includes nine never-before-released tracks. 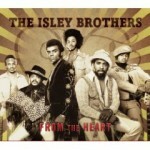 This is some of the finest, rarest gospel soul ever shouted from the South Side of Chicago! Veteran Chicago blues and soul singer Syl Johnson (father of R&B singer Syleena Johnson) began recording for Twinight Records of Chicago in the mid-1960s. 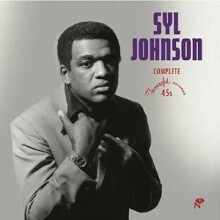 Thanks to his scorching 1969 rendition of the still relevant “Is It Because I’m Black” (written in response to the murder of Dr. Martin Luther King, Jr.) and his frequently sampled song “Different Strokes” (by Kanye West and Jay-Z, among others), Johnson managed to escape the category of “forgotten soul singer” and is now receiving his long overdue recognition. Though most if not all of his songs have been reissued numerous times, this beautifully produced double LP set from Numero includes 29 tracks with all of Johnson’s Twinight singles. In addition to the previously mentioned songs, highlights include the socially conscious “Concrete Reservation” and the ‘60s anthems “Come On Sock It to Me” and “Ode to Soul Man.” The double gatefold album includes track-by-track liner notes by Bill Dahl and Ken Shipley. Vinyl enthusiasts won’t get tired of spinning these discs! 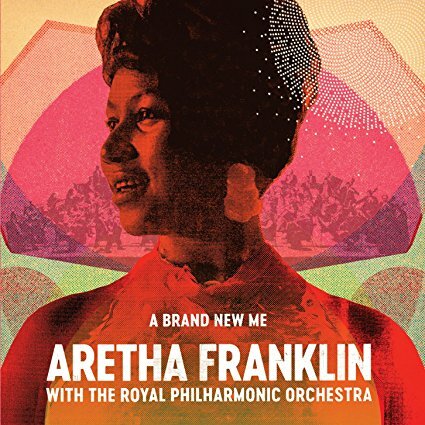 Many of you will have the majority of Aretha’s Atlantic albums already, but if not, you might consider this new box set featuring 19 discs, including both studio and live recordings, enclosed in vinyl replica card sleeves and packaged in a clamshell box. 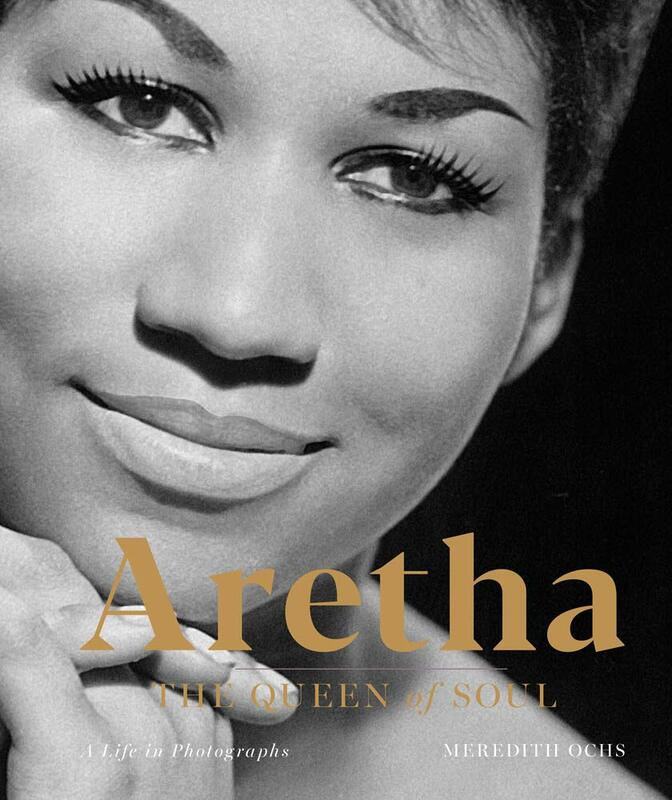 Regrettably, even at 19 albums, it’s not quite a complete collection of her Atlantic output since five of her post-1974 albums are not included due to rights issues: With Everything I Feel In Me (1974), You (1975), Sweet Passion (1977), Almighty Fire (1978) and La Diva (1979). The set does, however, include more recent compilations including Amazing Grace: The Complete Recordings (1999), Rare & Unreleased Recordings from the Golden Reign of the Queen of Soul (2007), and Oh Me Oh My: Aretha Live in Philly 1972 (2007). There’s no added bonus material or booklet, but at approximately $5 per disc this set is a great buy. 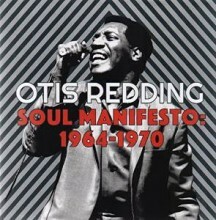 As with the Aretha Franklin box set, Otis Redding: Soul Manifesto is a repackaging of Redding’s six studio albums plus Live in Europe, all released prior to his death in a plane crash on December 10, 1967. The remaining five CDs in this compilation include the first posthumous release, The Dock Of The Bay from February 1968—assembled at Stax primarily from previously released singles and a few unissued recordings; The Immortal Otis Redding from June 1968 which features songs recorded by Redding during his final sessions; the live album In Person At the Whisky A Go Go recorded in April 1966 and released in 1968; and the 1969 and 1970 releases Love Man and Tell The Truth featuring more unreleased tracks recorded at Stax and backed by Booker T & the MGs. The discs are issued in vinyl replica card sleeves with no added bonus material. As an added note, Redding’s third studio album, Otis Blue: Otis Redding Sings Soul, considered to be one of the greatest albums of all time, marked its 50th anniversary on September 15, 2015. In celebration, Rhino is also reissuing its two-CD Collector’s Edition which includes stereo and mono versions of the original album, plus previously unreleased alternate mixes, as well as selections from Redding’s live albums. 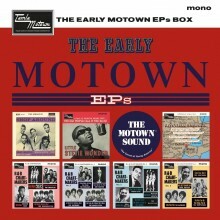 Vinyl collectors can look forward to this new limited edition, individually numbered box set from Universal that compiles 28 rare recordings from early Motown labels: London American, Stateside and Tamla Motown. 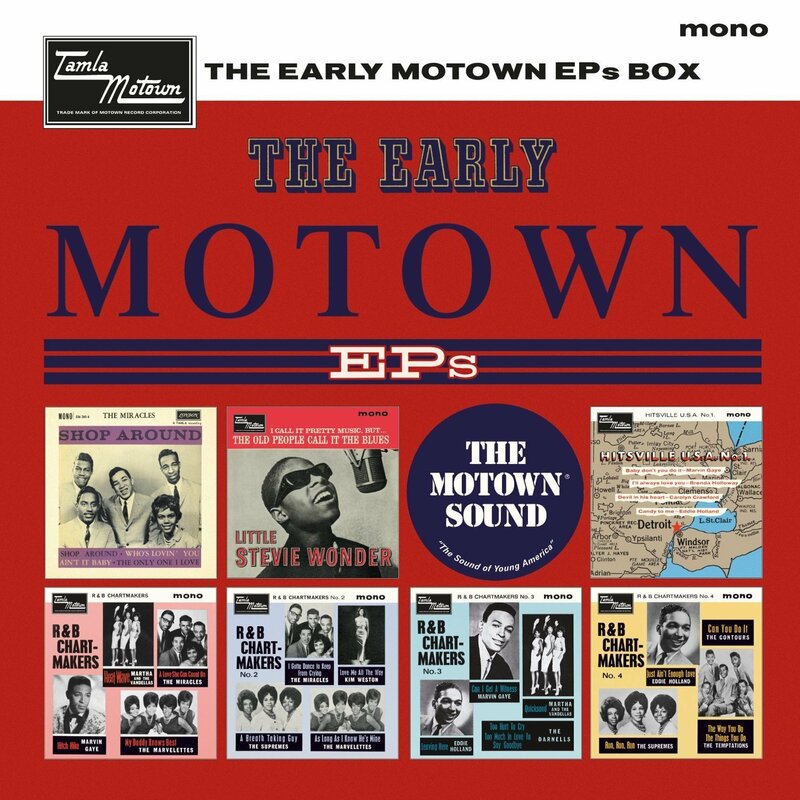 These discs replicate seven of the original four-track EPs, including five Motown artist mini-compilations plus one EP each devoted to Stevie Wonder and The Miracles. A download card is included with your purchase. Legacy Recordings has launched a new From the Heart series this month to coincide with Valentine’s Day and Black History Month. 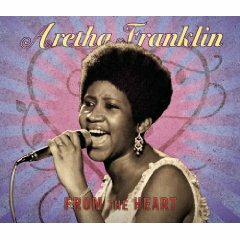 Like the previous Beautiful Ballad series released in February of 2007 and 2008, each From the Heart compilation features classic R&B and jazz ballads that have been digitally remastered and come with gift tags affixed to the jewel case. Among the nine featured artists are Babyface, Miles Davis, Aretha Franklin, Billie Holiday, the Isley Brothers, and Etta James (Frank Sinatra, Air Supply, and Dolly Parton discs are also available). Of course we have to kick this off with Kenneth “Babyface” Edmonds, since he’s an Indiana native (his brother was once a member of IU’s Soul Revue). 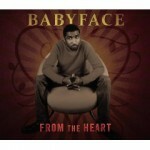 Babyface was one of the masters of the romantic ballad in the ’80s, and this compilation draws strongly from his early work on the Solar and Epic labels. Included among the chart topping hits is his cover of the Stylistic’s “You Make Me Feel Brand New,” along with a good representation of his original songs, such as “Whip Appeal,” “When Can I See You?”, “Never Keeping Secrets,”and “Everytime I Close My Eyes.” The most recent material is drawn from his 1996 album The Day, including “This Is For the Lover In You,” featuring LL Cool J. 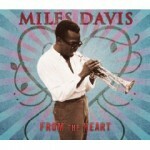 If you’d prefer instrumental ballads, the Miles Davis CD offers them in abundance. As one might expect, selections include “My Funny Valentine” (a rare live version from 1965), “Stella by Starlight” (1958, with Coltrane, Adderly and Evans), and the Gershwin favorites “I Loves You Porgy” and “Bess, You Is My Woman Now” from Porgy and Bess arrangements by Gil Evans. The one rather unexpected track is Cyndi Lauper’s “Time After Time,” which Miles turned into a jazz standard in this 1985 version. 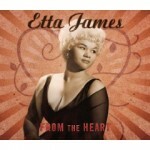 Given all of the attention on Etta James lately, its no wonder that Legacy chose to dust off some of her masters. Most of the tracks are from recordings she made in the last couple of decades, and focus more on jazz than R&B. If you’re not overly familiar with James, the compilation does show off her versatility. The CD opens with her first big hit “At Last,” which of course was recently covered by Beyonce in the film Cadillac Records and at one of the inaugural balls (and no doubt will be heard ad nauseam on this season of American Idol). There is a definite focus on the Great American Songbook, including “My Funny Valentine,” “The Man I Love,” “Night and Day,” and “Come Rain Or Come Shine,” but her R&B side is not completely ignored. Cover versions of Otis Redding’s “I’ve Been Loving You Too Long” and Brook Benton’s “I’ll Take Care Of You” are thrown in for good measure, and certainly don’t disappoint. If you’re looking for more jazz ballads, look no further than the Lady Day. 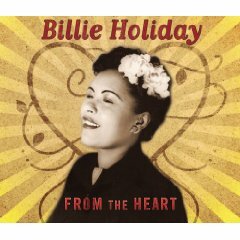 Once again the focus is on the Great American Songbook, and here Billie Holiday launches into her most popular classics, some of which duplicate the Etta James selections. Most of the recordings were drawn from her 1933-1944 Columbia catalog (issued on the Brunswick and Vocalion labels), and include “Night and Day,” “Summertime,” and “The Man I Love,” along with “Until the Real Thing Comes Along” from her final Columbia session in 1942 (before she jumped over to Decca). 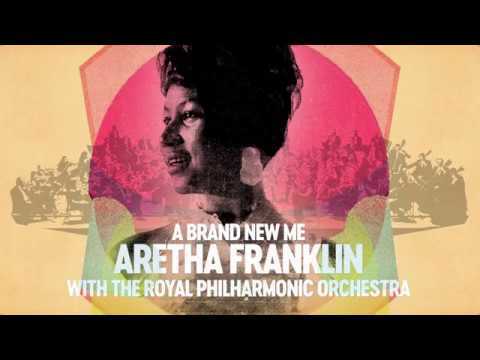 The Queen of Soul is represented by some of her earlier Columbia releases, including “Unforgettable” from the 1964 Tribute to Dinah Washington, and “Misty” from the 1965 album Yeah!!!. 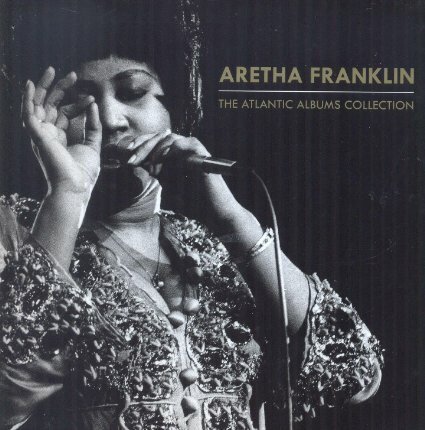 The bulk of the Aretha Franklin CD focuses on her work with Luther Vandross in the early ’80s and features the hit “Every Girl (Wants My Guy)” along with “Love Me Right,” “I Got Your Love,” and “Giving In,” among others. Her collaboration with producer Narada Michael Walden is represented by several tracks, such as the duet with James Brown “Gimme Your Love,” while the final tracks are drawn from more recent albums. Now that’s got to be enough to put anyone in the mood for Valentine’s Day! None of these are by any means definitive compilations, but for the most part they include a well-balanced mix of romantic favorites, and the CDs will certainly last longer than flowers or a box of chocolates. Buyers should note, however, that some of these compilations have been previously released under alternate titles. 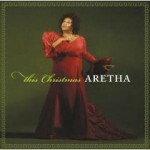 Fifty years into her career, the Queen of Soul has released her first dedicated Christmas album. (An earlier collection, 2006’s Joy to the World, was merely a compilation of existing material cobbled together from various older releases.) Released in an exclusive deal with Borders booksellers, This Christmas Aretha focuses on less commercial aspects of the holidays: faith, family, fun (of the grown-up variety), and, of course, food. Plenty of the standard old chestnuts appear here (“Silent Night,” “Ave Maria”), but the more gospel-infused offerings (“The Lord Will Make a Way,” “One Night With the King”) make for more interesting spiritual fare. Franklin’s earthiness and humor shine through on two tracks in particular: the title track “This Christmas,” a soulful duet with her son Edward, in which she frets about burning her collard greens and swearing off chitlins, then teasingly interjects comments such as “Eddie, you mustn’t upstage your mama with those high notes!”; and her recitation of “‘Twas the Night Before Christmas,” rewritten as a decidedly adult parable best listened to once the kids have been tucked away to dream of sugar plums. The holiday standards on this album are perhaps more pedestrian and less vibrant than might be hoped from Aretha Franklin, but overall, This Christmas Aretha is a solid holiday offering with some rich and funny moments. 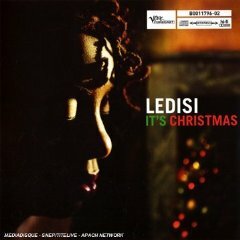 While Aretha upheld tradition with her Christmas classics, New Orleans-born jazz and soul diva Ledisi treads new ground on her holiday album. It’s Christmas features equal parts covers and original songs, the latter offering a welcome alternative to the glut of commercial standards heard all season long. Of the album’s covers, only three are holiday standards, and Ledisi breathes fresh life into them: “Children Go Where I Send Thee” becomes an earthy blues jam, while “Silent Night” is transformed into a cool jazz meditation. The other covers are less overplayed-though still familiar-Motown and jazz classics, as well as an ecstatic cover of “What a Wonderful World.” All in all, It’s Christmas is a fine contribution that’s even worth listening to after the tree comes down. Spyro Gyra‘s A Night Before Christmas received a Grammy nomination this week for Best Pop Instrumental Album. Their signature light jazz-pop sound pervades this album, rendering the holiday tunes breezy, cool, and less sugar-coated than most other versions of these songs. Not all of the album is instrumental-“Baby It’s Cold Outside” keeps to tradition with its conversational vocal duet by Bonny B and Janis Siegel, while Bonny B’s scatting and a cappella vocal fireworks pep up “The Christmas Song.” This is the soundtrack for a holiday cocktail party-chic, sophisticated, and grownup. 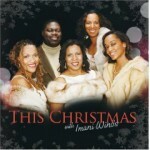 Imani Winds lend holiday music a classical touch with their album This Christmas. While many of the arrangements are tinged with just enough jazz and Latin influence to avoid sounding staid, all of the tracks on this album are familiar chestnuts, both religious and commercial. That said, their renditions of “Carol of the Bells” and “I Saw Three Ships” are lively and interesting, their “Jingle Bells” sounds like a grand joke, and they go heavy on the swing and blue notes in a Gershwinesque arrangement of “Go Tell It On the Mountain.” There’s not much that’s new or unexpected on this album, but it delivers classics in fine form. 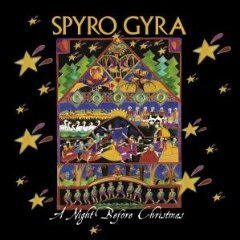 Stiff competition for Spyro Gyra, Béla Fleck’s Jingle All the Way has also been nominated for the Grammy for Best Pop Instrumental Album. 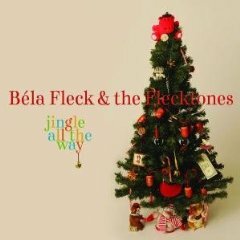 Clocking in at a whopping seventeen tracks, this album stays true to the Flecktones‘ quirky but virtuosic jazz-bluegrass fusion style while drawing on a broader repertoire of holiday music than any of the other albums reviewed here. Jingle takes on classical music with excerpts from Bach’s Christmas oratorio and Tchaikovsky’s Nutcracker; Christmas carol standards such as “Silent Night” and “O Come All Ye Faithful”; commercial classics such as Mel Torme’s “The Christmas Song” and Leroy Anderson’s “Sleigh Ride”; pop tunes from Vince Guaraldi’s “Linus and Lucy” to Joni Mitchell’s “River”; and even a nod to Jewish tradition with the Klezmer-inspired “Hanukah Waltz.” Fleck’s arrangements are ever inventive, and occasionally plain weird, but always engaging- and the fabulous Wooten brothers (bass virtuoso Victor and percussionist Roy “Future Man”) contribute their considerable chops. Jingle All the Way is fun enough for kids, complex enough for adults, and probably the best holiday album of the season.